Readers of the international press might believe that the UK is in dire straits, with worried consumers retrenching their spending and Brexit-fearing businesses battening down the hatches. Adding fuel to this narrative, an unusually high number of British retailers have sought to close stores and renegotiate rents with their landlords so far this year. In this week’s note, we offer our own view of what is really going on in the UK economy and, specifically, in the country’s retail sector. Brits are continuing to spend, supported by record employment levels and wages that are rising faster than inflation. So far this year, retail sales have continued to grow in real terms (i.e., adjusting for inflation), with sales in May jumping by an extraordinary 4.4%. The average real growth of 1.4% so far in 2018 is below that seen in recent years, but the sustained increase in real retail sales confirms that UK consumers have not cut back their retail spending in aggregate, even if some retailers are feeling the pinch. The softening of retail growth in 2017 and into 2018 followed a squeeze of incomes, as inflation rose during 2017 and began to outstrip income growth. Consumers responded by growing their spending more slowly and fueling some of that spending by cutting how much they saved. The savings ratio fell to just 4.1% in the first quarter of this year, the third-lowest rate since records began in 1963. However, inflation has been falling back in recent months, and average earnings growth has outstripped average price growth for the last five months. Grocery-price inflation, in particular, has been easing, which will free up cash for consumers to spend on discretionary categories. This suggests that the second half of the year will see stronger retail growth than the first half. The UK consumer economy is also being supported by a record employment rate: at 75.6% in April (latest), the proportion of working-age people who are employed is at its highest level since the government began keeping comparable records in 1971.
International readers should also not assume that UK consumer confidence is being dented by “Bregret” over Brexit. Two years after the referendum on EU membership, poll after poll finds that Brits’ views on leaving the EU have barely shifted—the UK is as divided as when it voted on Brexit in June 2016. Moreover, polls show that only a small minority of the UK public would now like to abandon the Brexit process and stay in the EU; instead, a large majority polled are reconciled to leaving. Supporting this perception of steadiness, Eurostat has recorded broadly consistent UK consumer confidence levels since the start of 2017. So, Why All the Store Closures? A slew of UK retailers have closed stores this year: at midyear 2018 (June 29), the store closure total of 956 was already comparable to the 1,005 we recorded for 2017 as a whole. Major names such as House of Fraser, Carpetright, New Look and Mothercare have opted for company voluntary arrangements that allow them to close stores and reduce rents on remaining leases. Some retailers have cited softening consumer demand, but we think that such softness is due in many cases to consumers opting to shop at rivals rather than to them cutting their spending altogether because, as the graph above shows, total retail demand has continued to grow. Instead, we see two specific challenges prompting store closures: cost pressures and structural changes. First, retailers have seen labor costs rise due to the tight labor market, changes to the national living wage and new pension obligations. At the same time, high business rates have pinched retailers’ profits. Compounding these pressures is the migration of sales online—even when those sales move to a retailer’s own e-commerce site. The shift online deleverages the fixed costs of brick-and-mortar stores, including business rates, and that erodes store-level profitability. 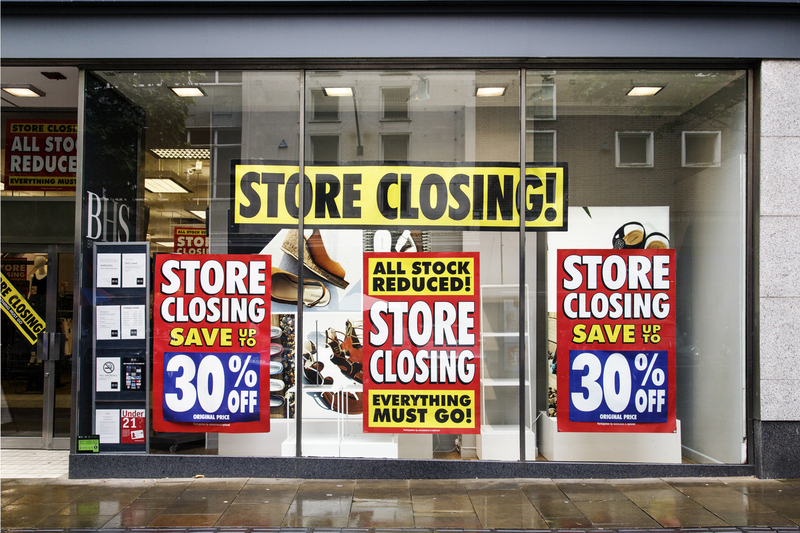 Second, structural changes continue to squeeze legacy retailers hard. Major structural shifts in UK retail have enabled competitors to steal share from legacy retailers, while limiting those legacy retailers’ ability to pass on higher costs to shoppers. Consumer migration to e-commerce is one such shift, but the rise of discount retailers in groceries and adjacent categories (such as beauty) have had similar effects. Fierce competition has forced long-standing midmarket retailers to absorb cost pressures even while many of them face losing share in their markets. So, for international readers, an important part of the UK retail story is that consumer demand continues to grow, albeit at a slower pace than in recent years. The real bad news is that cost pressures and structural shifts are hitting established brick-and-mortar retailers and driving the high-profile struggles in UK retail.